BELOIT — Marjorie Stryffeler, 91, of Beloit, passed away on Friday, Dec. 28, 2018. She was born on May 8, 1927, the daughter of the late John and Minnie (Schlosser) Miller. 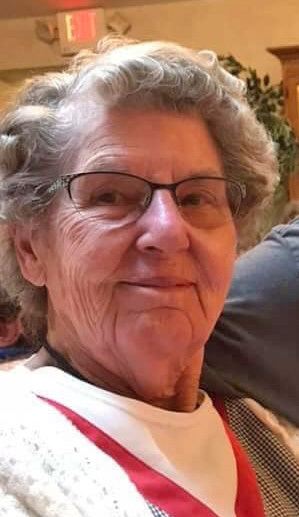 A lifelong area resident, she was a member of Bethel United Church of Christ. She enjoyed traveling with her husband Rolland all over including overseas, she was a member of several women’s groups, and known for her baking. She also enjoyed bowling but especially loved to spend time with her family. Survivors include her daughter, Patricia (Keith) Serafy; sons, Robert (Susie) Stryffeler, Dale (Kathy) Stryffeler; 11 grandchildren; 16 great-grandchildren; two great-great-grandchildren; and two sisters, Betty Barton and Karen (Carl) Robb. In addition to her parents, she was preceded in death by her husband of 67 years, Rolland Stryffeler, who passed away on May 10, 2013. Funeral services will be held at noon Monday, Dec. 31, 2018, at Bethel United Church of Christ with the Rev. Allen R. Kahler officiating. Friends may call at the church two hours prior to the service from 10 a.m. to noon. Burial will take place in Bethel Cemetery. In lieu of flowers, memorial contributions can be made to Bethel United Church of Christ, 25701 Buck Road, Beloit, Ohio 44609. Friends may send condolences and sign the guest register online at www.grfuneralhome.com. Arrangements are by Gednetz-Ruzek-Brown Funeral Home of Sebring, Ohio (330-938-2526).